Syringe Exchange programs can help stop the spread of HIV, viral hepatitis, and other blood-borne infections. WNCAP operates two syringe exchange programs. Both the Needle Exchange Program of Asheville (NEPA) and the Needle Exchange Program of Franklin help decrease the rate of new cases of blood-borne infections, including HIV, viral hepatitis, and even endocarditis by replacing un-sterile syringes with sterile ones. Both of WNCAP’s syringe exchanges are judgement free and stigma free spaces. 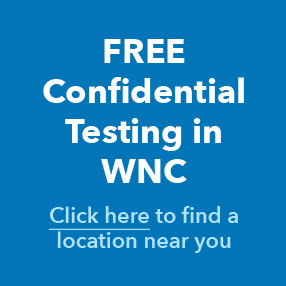 Anyone may access safer injection and harm reduction equipment along with naloxone (Narcan), an opioid overdose reversal medication, by visiting the WNCAP office at 554 Fairview Road​ in Asheville (Buncombe County), or 3561 Georgia Road in Franklin (Macon County). The Centers for Disease Control​ and Prevention state that syringe exchange programs are effective in bringing down new cases of HIV and viral Hepatitis. They have become increasingly important in reducing and reversing overdoses in our communities. Not only are syringe exchange programs effective as components of comprehensive harm reduction strategies, they offer opportunities to better one’s health outcomes, and to provide linkage to testing, care, and recovery options. They help to reduce the stigma associated with substance use and elevate the public health of the community overall. Due to the rising tide of the opioid epidemic, which is particularly severe​ in Western North Carolina, demand for needle exchange services runs very high. Despite generous donations from our community, the WNCAP exchanges still run out of syringes and supplies too quickly. Fortunately, our friends at The Steady Collective distribute free sterile syringes and naloxone (Narcan). They currently operate on Tuesdays and Wednesdays. Also, some pharmacies in Western North Carolina sell syringes with no questions asked. By law, North Carolina permits the sale of syringes without a prescription. At this time, neither federal funds nor North Carolina state funds may be used for the purchase of needles and syringes. That means these programs depend on the generosity of our community members and donors who are willing to step up to support these public health efforts. Please consider donating​ to WNCAP’s needle exchange programs. Your gift could change – or save – a life. Ten dollars buys a box of 100 needles. We provide access to more than 400,000 needles annually. The hours of operation for the Needle Exchange Program of Asheville are 9am-5pm on Monday through Friday with limited access on Tuesdays and Wednesdays. The hours of operation for the Needle Exchange Program of Franklin are 5pm-6:30pm on Tuesdays and 12pm-2pm on Saturdays. Be sure to “Like” WNCAP on Facebook​ and follow us on Twitter​ and Instagram​ for updates, including when we run out of supplies and when we re-stock.